Hello again, everyone! 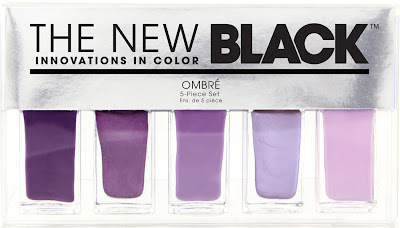 Today's post is Day 2 of The New Black Week here at Princess Polish and I'm very excited to bring you this next set because it is my FAVORITE color on earth: purple! It's one of the five piece sets from TNB and is an ombré collection called Haze. It makes me think of Jimi Hendrix, so that's another reason for me to love it already. The purples range from a jewel-toned blurple (!!!) to a dusty lilac. Unlike yesterday's Graffiti Set, there are no glitters in this collection and it's all cremes with a slight metallic in the blurple. Oh man, do I love this set of nail polishes. I took this picture in the sun of my backyard and the plant you're seeing is of one of my blueberry bushes. I though that it was kind of appropriate for purple because when I think of blueberries, all I think of is "You're turning violet, Violet!" And there are definitely shades of violet in this set! While I love the Graffiti set, I think Haze has officially overtaken it as a favorite! All of The New Black sets are available at Sephora, Nordstrom, and Beauty.com. 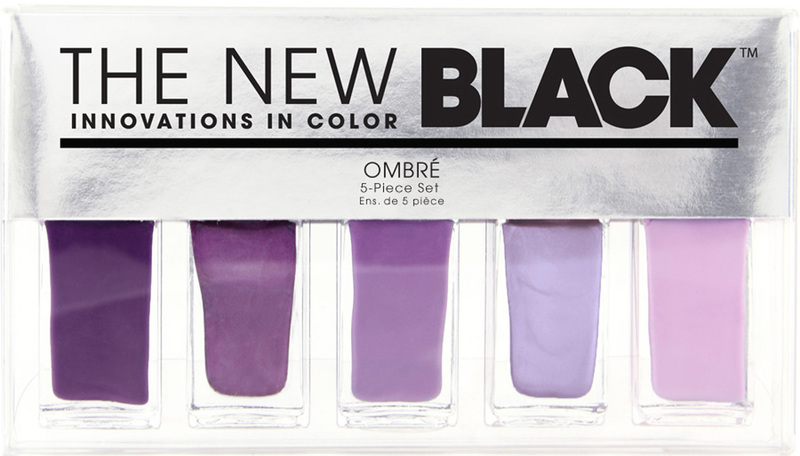 The ombré sets, like Haze, include five 0.125 fl oz. bottles of polish. All polishes by TNB are 3-free, cruelty-free, and vegan friendly! All sets range from $10 to $32. One of the super smart things TNB is doing is that they offer polish duos for $10 called the Glimmer Twins, where they take the two darkest or two lightest shade from a set and offer those two together! FYI, The two blacks and two silvers from Graffiti are available in these sets! So what do you think of the Haze set? Do you like it better than Graffiti? Tomorrow... we go to the beach with The New Black! PS: Be on the lookout for more upcoming photos of my nails around my garden, as it's finally getting to be that time of year! Purple is my favorite color and this is right up my alley!